In the second half of the 20th Century Christian morality in Western society gave way to one founded upon materialism, which was predominantly based upon a naturalism that declared that only science can provide us with a knowledge of our origins. False philosophy, developed from ideas expressed as early as the 17th Century, prepared the way for acceptance in the 19th Century (and from then on) of pseudoscientific theories which, together with that philosophy, have been highly destructive to belief in Christian revelation. In the 19th century the attack on faith came from both inside and outside of the Christian Church. In the middle of the 20th Century, materialists were able to make improper use of a genuine scientific achievement to lead an uninformed populace to accept their pseudoscience as real science. From the time of the French philosopher René Descartes, philosophy in Europe took a new direction. That part of his philosophy which has endured became known as Rationalism and, whatever form it subsequently adopted, it put reason above faith and expressed an open hostility towards the acceptance of the Genesis doctrine of Creation, claiming it be error, or, at best, irrelevant to philosophy. Philosophy, according to the Concise Oxford Dictionary, is the name given to the love of wisdom or knowledge, especially that which deals with ultimate reality, or with the most general causes and principles of things. It has two divisions: Natural philosophy, which is a study of natural objects and phenomena; and Moral philosophy, which is a study of human actions and conduct. In the 19th Century, under the fallacious aegis of ‘positivism’, enlightenment philosophies became linked with pseudoscience, which resulted in a highly significant attack upon the historical truth of both the Old and New Testaments. In the Christian Church, the ‘higher’ biblical critics embraced The Enlightenment philosophies of the German Idealists who were opposed to faith. Outside of the Church, the pseudoscience consisted of made-up stories of vast geological ages, organic evolution and (subsequently) a big bang explanation of the origin of the universe. All were alleged pre-historical (and therefore unrepeatable) events which were passed off as scientific truth in contradiction of biblical truth. In the early post World War II years, evolutionists misused the prestige attached to a genuine scientific achievement (the release of energy in the form of an atomic bomb) to bolster their false claims that organic evolution was not only a genuine scientific theory but also a proven scientific fact. In the years that followed, the principal causes of the demise of Christian morality as the publicly recognized ethical standard in our society were: (a) propaganda in favour of an evolutionary worldview, (b) the strict censorship in both scientific journals and the popular press against criticism of it, and (c) the white-anting of the Christian Churches, not only with ‘liberal’ (‘higher’) biblical criticism, but also with acceptance of the evolutionary worldview. The last mentioned cause was the most telling because it allowed ‘liberals’ to replace the Genesis doctrine of Creation with theistic evolution. This removed much of the criticism of evolutionism that otherwise would have been forthcoming from Christian Churches. None of this would have been possible without the groundwork laid by the ‘reason-above-faith’ philosophies of The Enlightenment. The following is a brief history of the trends set by Enlightenment philosophers from the 16th to the 19th Century. Philosophical rationalism is said to have commenced with Descartes when, in 1619, he compared the philosophy that preceded his own philosophical ideas to an old city that had grown in an unplanned way from a small town. His purpose, therefore, was to start philosophy afresh upon a planned basis. 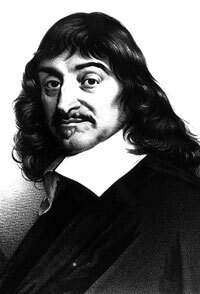 Descartes was a Christian who, in his Meditations, proffered two proofs of the existence of God which, for him, made scientific knowledge possible. He also indicated that what is proposed by God for our belief cannot be doubted, for it is impossible that God should lie.6 Nonetheless, his ‘proofs’ were unconvincing and found very little, if any, acceptance. What remained was a philosophy that was wholly subjective and contrary to common sense: a philosophy which turned the traditional notion—where one reasoned by reflecting upon things observed or experienced—upside down. An example of that traditional notion is the teaching of Paul in Romans 1:19–20, the principles of which are embodied in Natural Theology. Thus there was no apparent way in which Descartes’ philosophy could lead to a knowledge of a Creator/God. In the 17th Century, post-Cartesian ‘reason-above-faith’ found its beginning in the works of Spinoza who had carefully studied the works of Descartes. Spinoza, who was Jewish, did not believe in a personal God and, from this viewpoint, he could be described as having been both an atheist and pantheist. The 18th Century German Idealists (notably Fitche) later adopted his anti-creation views which, in his day, offended both Jewish and Catholic authorities. The founder of Philosophical Empiricism was John Locke, who became interested in philosophy after reading Descartes. 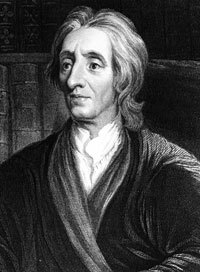 In one of his major works, Essay Concerning Human Understanding, first published in 1690, Locke claimed that ‘all knowledge is founded on and is ultimately derived from sense perception’. This knowledge, he claimed, was gained from experience and the paradigm of such knowledge was natural science. However, in the fourth book of the essay, he held that the theories of the natural sciences could never aspire to be more than probable. Locke was a close friend of the famous experimental scientist Robert Boyle and he also corresponded with Isaac Newton, the famous cosmologist. He proposed to do for philosophy what they had done for empirical science. While he followed Descartes in some respects, Locke radically differed from him in formulating his empiricist philosophy. So far as religious beliefs were concerned, Locke, who had studied scholastic philosophy as an undergraduate at Oxford, was prepared to accept as being scientifically proven those beliefs that came under a medieval epistemological doctrine known as the Doxastic Ideal. 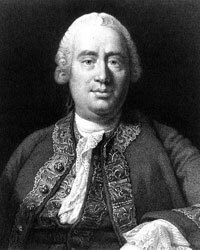 Hume was sceptical of all religious beliefs and, as an advocate of ‘natural’ religion, was a forerunner to Comte and other 19th and 20th Century ‘positivists’. Hume not only opposed the Judeo/Christian doctrine of Creation, but also belief in miracles. The Encyclopedists were part of the French enlightenment, so-called, which was a movement that was empiricist, naturalistic, and diametrically opposed to religion. Its main proponents were contributors to the Encyclopedia, described as ‘an analytical dictionary of the sciences, arts, and trades’. 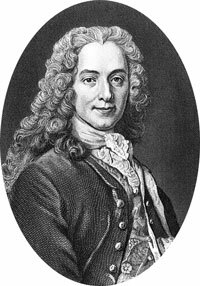 Most influential in changing public opinion concerning religion in France prior to the French Revolution were François Marie Arouet (1694–1778), a frequent contributor to the Encyclopedia who wrote under the name of Voltaire, Jean Jacques Rousseau (1712–1778), Denis Diderot (1713–1784), who became editor of the Encyclopedia in 1750, and P.H. D’Holbach (1723–1789). Diderot and D’Holbach followed the empiricism of Locke and Hume. Voltaire and Rousseau appear to have been the first of the French rationalists. Voltaire was a deist (i.e. he beleived in ‘God’ who created the universe, but not revelation, the Bible, miracles, etc.) whose frequent attacks on the Christian religion opened the way for the criticisms by others. Rousseau mostly wrote about social issues but nevertheless he was a strident atheistic rationalist. He concentrated on the rights of individuals, in a way that has much in common with the present day moral philosophy of materialism. That is, they were subjective and man-centred: e.g. ‘I must be true to myself’, ‘I must do what I feel is right’. It is significant that, while on exile from France prior to the revolution, he went to Scotland at the invitation of Hume and was later given hospitality by the father of Charles Lyell and the grandfather of Charles Darwin. This showed that rationalism was in the households of the two men who were mainly responsible for the made-up stories of the vast geological ages and organic evolution. Rousseau’s writings were said to have impressed the German Idealist philosopher, G.W.F. Hegel. The atheistic empiricism of Hume and the French Encyclopedists, together with the naturalism (‘nature is all there is, ever was or ever will be’) it espoused, subsequently had many other adherents. These included the English philosophers, Jeremy Bentham (1748–1832), James Mill (1773–1836), John Stuart Mill (1806–1873) and Bertrand Russell (1872–1970). Thus it played a major role in laying the groundwork for the dramatic rise of materialism that has taken place in this century. Idealism refers to a group of philosophies that have a common view that what we would call ‘the external world’ is somehow created by the mind. While they do not disagree with the ordinary man’s view that material things exist, they disagree with the view of many other philosophers that the material world is independent of the mind. There are three principal types of Idealism which were proposed respectively by Berkeley, Kant and Hegel. Berkley, an Anglican bishop, always tried to put faith above reason and so his philosophy will not be dealt with here. Instead, in addition to the philosophies of Kant and Hegel, consideration will be given to that of Fitche, who was something of a bridge between the two. 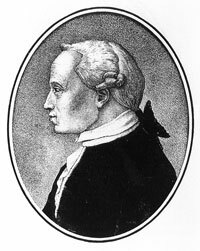 In 1770 Kant became professor of logic and metaphysics at its University of Konigsberg. Kant stated that he was awakened from his dogmatic slumbers by Hume’s account of causality that gave him a completely different direction in the field of speculative philosophy. He wrote three major works: Critique of Pure Reason (1781), Critique of Practical Reason (1788) and Critique of Judgment (1790). The first Critique consisted of natural philosophy and, in writing it, he had to consciously consider two different groups of philosophies, all of which accepted Descartes’ Cogito. On the one hand, there was the rationalist group of Spinoza, Leibnitz, and Berkeley. On the other, there were those of the empiricist group of Locke, Hume and the French Empiricists. To Kant, ‘pure’ reason meant ‘a priori reason’: that is, something that can be known apart from anything derived from experience. Therefore, he was not prepared to accept the view of the Empiricists that all knowledge comes from experience. Kant claimed there were concepts (twelve in all) that were not learnt from experience and enable us to make sense of our experience but have no other use. However, he claimed what he called noumena, which are the sources of our external experiences, cannot be known in themselves.16 This locked us in a mental world which excluded from metaphysics knowledge of the existence of God (Natural Theology), free will, etc., and the support that could be found in Natural Theology for the Genesis doctrine of Creation. Although Kant believed in the existence of God and the future life, he recognized that they could not be logically proven by his natural philosophy. However, his experience with the moral law made it certain for him that they are true. He stated that if he denied such truths he would be abhorrent in his own eyes.17 However, Kant quite clearly looked to science and not revelation for the truth about origins and to this end he was the first to advance the theory that the solar system, including the earth, came from a swirl of matter. In his second Critique, which dealt with moral philosophy, Kant made out a case for the existence of God, and the moral principles he espoused had some things in common with those of the New Testament. The third Critique deals in the main with aesthetic judgments and has little relevance to this summary. Of course, the influence Kant’s First Critique had on those who came after him is relevant. 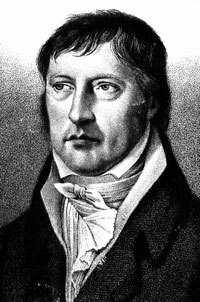 In 1806, Fichte did another study entitled, Die Anweisung Zum Seligen Leben (‘Instructions for a Happy Life’) in which he claimed that the ‘concept of creation was the absolutely fundamental error of false metaphysics’.19 Fichte also claimed that Creation was the fundamental error of religion, saying that it was ‘the first criterion of falsehood’.20 He further claimed that this ‘error’ was ‘the original principle of both Judaism and paganism’,21 thus putting them both in the same mould. While the first study showed the influence of Kant, the second study showed that of Spinoza. While there were some differences between the philosophies of Kant and Hegel,23 the latter’s Idealism, and that of Fitche also, was based upon the Kantian view that truth concerning the objective world is mind-imposed. This left no room for accommodating the Genesis doctrine of Creation, even though Hegel looked to history rather than science as a source of such knowledge. What was fundamentally new about Hegel’s philosophy was his view about contradiction. Taking a line from the Greek word meaning to argue, Hegel proposed that truth could be reached by use of the dialectic, which involved a process of triads, each consisting of thesis, antithesis and synthesis. Hegel’s dialectic opened up a Pandora’s box out of which came the dialectical materialism of Karl Marx, the soul of the Romantic Movement and the evolutionary philosophy of Teilhard de Chardin. Despite all this, the greatest damage done by Hegel to Christian revelation was contained in his theological writings. Apart from A Life of Jesus, an early work in which Hegel has Jesus preaching Kantian ethics, these writings conveniently gathered together in one book of English translations under the title of On Christianity.24 It contains two long essays, the first one is The Positivity of the Christian Religion (written circa 1795–96, except Part III, written circa 1800). The second one is The Spirit of Christianity and its Fate (written circa 1798–99) and together with a very short one on Love, all translated by T.M. Knox of St Andrews, Scotland; and Fragments of a System (written circa 1800), which was translated by Professor Richard Kroner. There is also a preface by Knox, a 66-page introduction to Hegel’s philosophical development by Kroner, and Kroner’s translation of a speech made by Hegel. In the introduction, at page 38, Kroner points out that in an unpublished post-1800 fragment, Hegel’s ‘ … doubts and hesitation which characterized the fragment of 1800 are now completely superseded by an exalted confidence in the power of speculation. Philosophy is no longer assigned a place below religion; on the contrary it is destined to replace religion, completing the development initiated by the Reformation’. In the first essay Hegel is critical of the fact that the pre-Christian Hebrew religion tied its adherents down to the acceptance of ‘positive’ religious beliefs and practices and he therefore claimed that the Hebrew religion was inferior to that of the ancient Greeks who were not restricted but were all individually free to speculate concerning their beliefs. He is also critical of the ‘positivity’ he claims has developed in the Christian religion. Hegel’s second essay dealing with what he argues is the Spirit of Christianity, written only a year or so after the first one, is regarded by Kroner as being something of an about face and (at page 66 of his Introduction) that no one can read it without being instructed or enriched. On the other hand Knox in his Preface refers to the fact that a number of critics regard it as being enigmatic. It might be conceded that in this essay there are some insightful comments made by Hegel concerning the moral teachings of Jesus, which no doubt reflect the fact that before he decided to become a philosopher Hegel was a seminary student and a prospective Lutheran minister. However, despite the fact that throughout His public life Jesus attested to the truth of the Hebrew Scriptures, nowhere in his essay does Hegel restore his own acceptance of this truth, which he had previously downgraded with his criticism of the Jewish religion as a whole. Paul, in 1 Corinthians 15, has described the resurrection of Jesus as a key doctrine of the Christian religion. But in his (second) essay, far from reconciling his philosophy with the Christian religion, Hegel wrote at page 292, ‘to consider the resurrection of Jesus as an event is to adopt the outlook of a historian and this has nothing to do with religion’. The apostles, he claimed, did not recognize this harshness because they lacked the European intellectualism to recognize this opposition between spirit and body (see p. 300). This is one of the many examples where German Idealism gets right away from reality and amounts to an attack on common sense. The apostles accepted the miracles of Jesus first and foremost on the evidence of their eyes but also because they believed from Scripture and Christ’s own teaching that with God nothing is impossible. Hegel’s conclusions in this second essay quite clearly take away from Christ the divine fiat He employs when working miracles and cast doubts about (if not wholly denies) the supernatural nature of Christ’s resurrection. Thus, as Hegel’s followers have made clear, they hold the view that Jesus was no more than an ordinary human being and not the Son of God. One has only to look at the works of the ‘higher critics’, mentioned below, to be aware of this. Before dealing with these attacks from inside of the Church, it is appropriate to consider the contemporaneous attacks that were being made from outside of the Church under the aegis of Positivism. The philosophy of Positivism claims that only science can tell us of our historical origins and those of the world and universe in general. It was inherent in the philosophy of Hume and the other empiricist philosophers. It was first explicated by Auguste Comte (1798–1857) in his work, Cours de Philosophie Positive (‘Lessons from Positive Philosophy’) (1830–1842). Third and final was the scientific stage where men, by scientific observation and experimentation, will reach the positive truth. This was never anything but a fallacy because; (1) the past cannot be observed and, (2) since the events of past history are unrepeatable, any theory that postulates such history as science can never be experimentally tested. Comte endeavoured to found a ‘positive’ religion, which he called ‘the religion of humanity’, with himself as high priest. Although some Positivist Societies which worshipped humanity instead of God were formed, the movement was ultimately a failure. However, his philosophy enjoyed success among atheist philosophers and scientists, although some rejected Comte’s excesses. Despite the erroneous nature of ‘positivism’, the Western World today, including many Christian Churches, still accepts the false philosophy that only science can tell us the truth about our origins and those of the heavens and the earth. In fact, it would be true to say that most of the Western World is saturated with this positivistic misconception. The influence of Kant, Fitche and Hegel, as well as others not named in this essay, had the effect of breeding a wholesale scepticism about Christian revelation, not only amongst lay people but more especially those who rate themselves as theologians. Since readers are no doubt aware of many of the errors of ‘higher’ criticism, including the ‘Documentary Theory’, only some of the perhaps lesser known but still very important heresies of the ‘higher’ critics will be reviewed. B. Bauer (1809–1882) wrote a Life of Jesus in which he removed any historical foundation of the gospels Strauss had left, and declared the whole New Testament to be myth and Jesus and Paul to be literary fictions. Strauss and B. Bauer were greatly influenced by their theology professor at Tubingen, F.C. Bauer, who was an avid follower of Hegel. Ernest Renan (1823–1892), who had been a Catholic seminarian in France, corresponded with Strauss. In 1863 he also wrote a Life of Jesus in which he presented Jesus as being a human person only and dismissed the supernatural as being unreal. All of this led to the 20th Century ‘demythologization’ of the New Testament by Rudolph Bultmann. Bultmann was an associate of Martin Heidegger, a reputed existentialist philosopher, who publicly declared that the doctrine of Creation had no part in philosophy. … the enlightenment philosophy subsequently led to attacks on faith from both inside and outside of the Christian Church with the end result that on the one hand, many scientists, who had formerly been Christians, became ‘positivists’. As it has been shown, the enlightenment philosophy subsequently led to attacks on faith from both inside and outside of the Christian Church with the end result that on the one hand, many scientists who had formerly been Christians became ‘positivists’.28 On the other hand, 19th Century writers purporting to be Christian scholars, not only wiped out the historicity of Genesis, but also denied the historicity of the four Gospels, the divinity of Christ and the authenticity of His miracles. Yet that philosophy contained many errors, three of which were fundamental. Firstly, it was based upon the erroneous upside-down Cartesian principle of Cogito. Secondly, it failed to recognize the existence of a Creator/God in the things He created by raising spurious arguments against the concept of intelligent design. Thirdly, it ignored the distinction between empirical science and pseudoscience. Empirical scientific theories are concerned with repeatable observations. Scientists can learn something of the daily repeatable functions of natural physical laws (whereby God at his pleasure upholds His Creation) through the empirical testing of such theories. But, of course, they can learn nothing about origins hypotheses from experimental testing (despite Comte’s assertion to the contrary) because such hypotheses concern unrepeatable events which cannot be put to the test. This has been a brief history of how false philosophy laid the groundwork for the rejection of the doctrine of Creation in favour of so-called natural explanations. Thus atheism (frequently veiled under the name of agnosticism) became the false intellectual position of most philosophers. 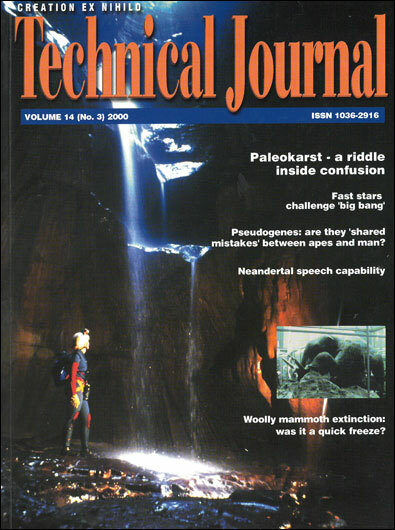 The fact that it was beyond the scope of experimental science to provide natural explanations for the origins of all things (all purported to be pre-man and therefore pre-historical) was falsely and deceitfully covered up by the erroneous notion of ‘positivism’, whereby it was claimed that science through observation and experimentation would reach the positive truth concerning our origins. Thus atheistic ‘positivism’ also became the false intellectual position of most scientists although some, while rejecting Genesis as history, became theistic ‘positivists’. It was after the publication of Darwin’s book on the origin of species in 1859, that Thomas Huxley (1825–1895), Herbert Spencer (1820–1903) and other English atheists, vehemently opposed to religion, found fertile ground for the propagation of their message of naturalism. Not only were scientists misled, but many within the mainstream Christian Churches were equally deceived and therefore looked to the ‘liberal’ biblical criticism of the ‘higher’ critics in order to reconcile faith with what they were led to believe were the indubitable conclusions of science. The intellectual position they adopted had the effect of blocking wholesale criticism of the false ‘positivistic’ theories. In fact many Christians aided and abetted the deceit of the ‘positivists’ by adopting theistic versions of evolutionary theories. It is little wonder then that, when in 1945 empirical science was able to release the energy in radioactive ore in the form of an atomic bomb, the world was prepared to accept without critical objections the word of scientists. The majority believed them when they declared organic evolution to be a scientific fact and that the vast geological ages, which purported to illustrate the progress of evolution, were ages that really existed in the past. Having established this beachhead, the atheistic ‘positivists’ now try to tell us that they can reveal to us how in pre-history the universe came about. In the light of the above facts, it is not hard to see how naturalism, which is the chief tenet of the philosophy of materialism, has become the main religious belief of the majority who control public opinion in Western society and why it has pushed Christian revelation to the outer fringes of that society. The so-called French ‘enlightenment’, or age of reason, was described by d’Holbach (1723–1789) in 1770 in his Systeme de la Nature as one that called for a knowledge of nature gained through human experience and thought, but not through the ‘revelations’ of the Church. Return to Text. A Dictionary of Philosophy, Pan Books Ltd, London, p. 89, 1984. Return to Text. A Dictionary of Philosophy, ref. 2, p. 89. Return to Text. A Dictionary of Philosophy, ref. 2, p. 90. Return to Text. A Dictionary of Philosophy, ref. 2, pp. 90–91. Return to Text. Descartes, R., Reply to Second Set of Objections, Hutchins et al. (eds), Great Books of the Western World, vol. 31, p. 125, 1955. Return to Text. Wolterstorff, N., The epistemology of religion; in: Greco, J. and Sosa, E. (eds), The Blackwell Guide to Epistemology, The Blackwell Publishing Company, Malden, Ma, pp. 304ff, 1999. Return to Text. Wolterstorff, ref. 7, pp. 305–306. Return to Text. Wolterstorff, ref. 7, p. 312. Here Wolterstorff seems to be referring to the French Enlightenment rationalists and not Hume who rejected the Doxastic Ideal. Return to Text. ‘ … all our ideas or more feeble perceptions are copies of our impressions or more lively ones;’ Hume, D., An Inquiry Concerning Human Understanding, section 2. Consequently, ‘ … is impossible to think of anything we have not antecedently felt, either by external or internal senses’, section 7, part 1. (original italics). Return to Text. Hume, D., An Inquiry Concerning the Principals of Morals, appendix 1, section 1, 1751. Return to Text. Hume, D., A Treatise of Human Nature, book 2, part 2, section 3; first published (anonymously by Hume) in 1739. Return to Text. A Dictionary of Philosophy, ref. 2, p. 154. Return to Text. Named after the Greek philosopher Strato of Lampsacus (died 269 BC), who claimed that it was up to anyone wishing to postulate a God to provide a sufficient reason and asked why cannot the Universe’s existence and fundamental characteristics be themselves the ultimates of explanation. Return to Text. A Dictionary of Philosophy, ref. 2, pp. 160–161. Return to Text. ‘What objects may be in themselves, and apart from all this receptivity of our sensibility, remains completely unknown to us.’ Kant, I., Critique of Pure Reason, 2nd edition, English translation by N.K. Smith, MacMillan, London, 1933. Return to Text. Kant, ref. 16, p. 856. Return to Text. A Dictionary of Philosophy, ref. 2, p. 120. Return to Text. In German, der absolute Grundirtum allerfalschen metaphysik. As cited by French philosopher, Tresmontant C., The Hebrew Christ, English edition, Franciscan Herald Press, Chicago, Illinois, pp. 217–218, 1989. In this book, Tresmontant pointed out that Fichte endeavoured to show that that doctrine of Creation was rejected by the Gospel of John. Return to Text. das erste Kriterium der Falschheit, Tresmontant, ref. 19, p. 218. Return to Text. das Urprinzip des Judenund Heidentums, Tresmontant, ref. 19, p. 218. Return to Text. A Dictionary of Philosophy, ref. 2, p. 161. Return to Text. On Christianity, The Harper edition, 1961; English translation of early Hegel theological writings. Originally published in 1948 by the Chicago University, which holds the copyright. Return to Text. A Dictionary of Philosophy, ref. 2, pp. 288–289. Return to Text. Popper, K.R., Unended Quest, Open Court, La Salle & London, pp. 87–90, 1982. Return to Text. Himmelfarb, G., Darwin and the Darwinian Revolution, Chatto and Windus, London, 1959. Return to Text. Two Nobel Prize winners, Marie Curie and Alexis Carrel, who had been brought up Catholics, each adopted ‘positivism’ in place of religion at certain stages in their lives. Return to Text. Wolfgang Smith, W., Cosmos and Transcendence, Sherwin, Sugden & Co., Illinois, p. 16, 1984. Smith, in support of this conclusion, cites the relevant passage from Newton’s Principia in his footnotes. Return to Text. Popper, ref. 26, p. 168. Return to Text. Ehrlich P. and Birch, L.C., Evolutionary history and population biology, Nature 114:152, 1967. Return to Text. Patterson, C., Evolution, British Museum of Natural History, pp. 145–146, 1978. Return to Text.